What an exciting idea!! !Homemade chocolate made with almost 30 years of experience,in a country known for its finest food and ingredients--Thailand. Let's face it. We're all going to eat chocolate. But you don't have to feel guilty! Chocolate is actually good for you...it's all the things added to it that are the problem. Here's how you can choose delicious healthy chocolates to enjoy anytime. 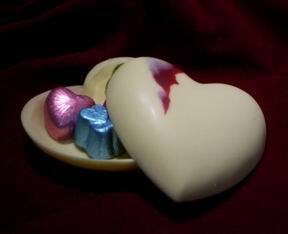 The gift of chocolate to a beloved as a token of love is more than just tradition. Naturally-occurring compounds in chocolate produce that mild euphoria of being in love and contribute to enjoyable interpersonal relations by elevating mood and enhancing sensory perception. Beyond good feelings, chocolate benefits the body in many ways. In moderation, chocolate can contribute to heart health, help you live longer, suppress a chronic cough, and add needed magnesium to your diet. Chocolate even contains a high level of chromium, which can help control blood sugar. cocoa powder, and the FDA Total Diet Study found them in many chocolate products. Here are some guidelines for choosing the healthiest chocolates. 1. 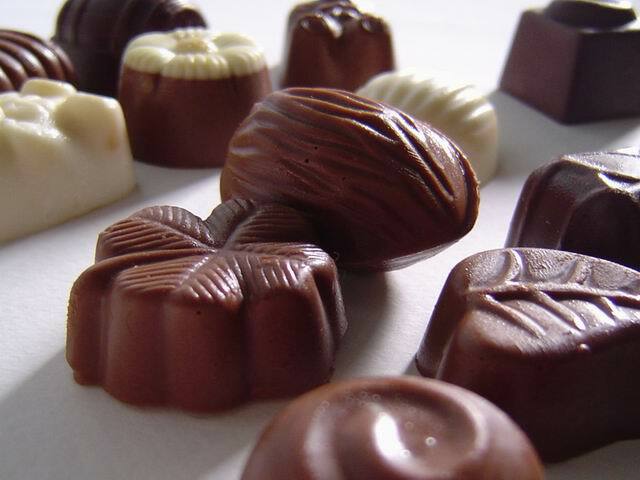 Choose chocolates with the least amount of refined white sugar or other sweetener. Dark "bittersweet" chocolates with a high percentage of cocoa solids (usually the label will state the exact percentage) have less sugar than semisweet or milk chocolate and also have the greatest health benefits. Keep in mind that flavor additions, such as dried fruits and candied ginger may also add sugar to the chocolate. 2. 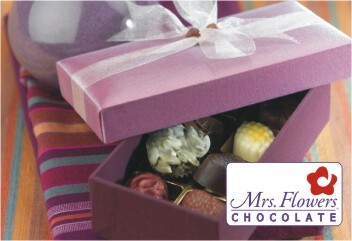 Choose chocolates sweetened with evaporated cane juice or barley malt. If the evaporated cane juice used is the unprocessed whole juice of the cane, it acts in the body like a whole food and doesn't give a sugar rush. Barley malt is also a slow-release sweetener, noted on the label as "grain-sweetened." 3. Choose organic chocolates. Certified organic chocolate ensures there are no harmful pesticide residues. 4. Make your own chocolates. It's easy to make many chocolate delights yourself, with the exact ingredients you want. Start with unsweetened cocoa powder or baking chocolate and be creative! 5. Choose quality over quantity. If you are going to eat chocolate, eat really good chocolate. Then, for maximum enjoyment, give the taste of the chocolate your full attention, eat it at a time when you are not famished or overly full, and allow the chocolate to melt in your mouth to make the experience last. 1Can Chocolate tell us your personality?